Nope. Physician burnout is a DILEMMA. This is the fundamental reason burnout appears to be insoluble / unfixable / you just can't make it go away. Watch this video to learn how to deal with a Dilemma - so you can stop the magical thinking that physician burnout can be solved in a single step. a) This is one of the Burnout Prevention Power Tools Videos on the Burnout Proof Mobile APP. 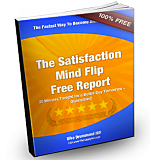 Learn more and download your copy at this link. Hello. 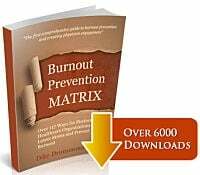 Doctor Dike Drummond here with another one of our Physician Burnout Prevention Power Tools videos. This one is a really important distinction I'm going to teach you. If you don't understand the difference between a problem and a dilemma, it's really going to mess you up. So, watch this. Remember back in the video when I talked about creating your ideal job description in the Venn diagram, making your master plan and starting to change things at work? Well, what you'll find is as you start to make changes at work, some things were easier to change than others. And most to the things that you struggle with, the things that you don't seem to be able to solve, you can't solve them because they're not problems. So, let me teach you this really important distinction between a problem and a dilemma. This will help you going forward. Because problems are very specific things. Problems have solutions. And if I apply a solution to the problem, what happens to the problem? Right, it goes away. So, let me give you a clinical example. It's kind of gross but check it out. It's very accurate. A pointing abscess. What's the solution for a pointing abscess? Yeah, incision and drainage. You open it up and you drain the pus out of it and the problem basically goes away. And just so you know, for a doctor, draining an abscess is just about the most satisfying thing we can possibly do. Why? Because it's solved right there. You know, most things in clinical medicine and most of the things you're going to face that are a real challenge for you or not, problems. They’re dilemmas. You can't find a one-step solution because a dilemma doesn't have a one-step solution. They talk about balancing the horns of a dilemma. Here's how you address a dilemma. But first, let me show you one in clinical medicine. Here's a dilemma. A 350-pound, hypertensive, diabetic 40-year-old woman, right? You can't lance the pus out of that. You can’t solve the problems that she have. They're not problems. They’re dilemmas. There's all sorts of balancing you have to do there. So, how do you address a dilemma? Well, you figure out what the balance point is that you want to maintain. Then you create a strategy and the strategy by its very nature has more than one step. Problem has a single solution, a dilemma has a strategy that has more than one step. Then you also set up a system to measure how effective your strategy is. You’re going to be measuring something, right, and tracking it overtime. And lastly, you’re always ready to tweak your strategy to make sure that you're right where you want to be. Why is this important? Well, some of the very most difficult things that you’ll face are actually dilemmas, not problems. Physician Burnout? It's a dilemma. It's a balance between the amount of energy you put in, right and the quality of the job that you do. Work-life balance, can you hear even in the name, work-life balance, can you hear the balance point? Work-life balance is a dilemma. And here's another that we're going to address completely in the next video. Electronic medical records, your documentation no matter what position you have on the team, the amount of energy you put in and the amount of documentation it produces, that's a dilemma too. That's why work-life balance, physician burnout and EMR seem to never go away. It's because they're not problems. You can’t solve them. There's no one-step solution. They’re dilemmas. They’ll always be here. So, let me show you a strategy for one of the most difficult challenges most people face in healthcare today and that’s your documentation, the electronic medical record documentation. You have to put down before you can go home. So, that's it for this Burnout Prevention Power Tools. I'll see you in the next video, EMR. I'm going to show you the steps for an EMR strategy. See you then. 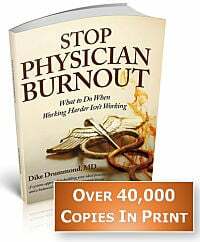 1) How does understanding the difference between a problem and a dilemma help YOU prevent physician burnout? 2) What difficult issues in your practice and your life just got easier because you see they are not problems either ... just additional dilemma examples?